In this chapter, we explore the impacts of key characteristics of Supply Chain Governance Systems in the development and diffusion of technology innovations that promote supply chain transparency and sustainable consumption and production. The model presented in this chapter was developed following group model building methods. Our simulation experiments reveal that the market resists “take-off” unless external financial support can be found. Additionally, “take-off” dynamics of the system are dominated by marketing budgets and external support for infrastructure. Marketing budgets drive how fast users adopt the system, and without external sponsorship of system, the final market collapses. 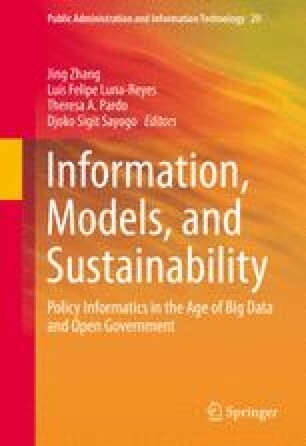 Finally, the quality of governance—reflected in information completeness, openness, relevance and reliability, and the resultant trustworthiness of information determines final sustainable market share.